As the anticipation towards my upcoming sojourn to the West coast of Europe intensifies, thoughts (more like obsessive online window shopping) of what to pack and wear (umm hello obnoxious forty plus degree weather) become more and more frenzied as my departure date looms. So how does one decipher what is relevant for a two week getaway? Well. one sticks to the basics and the essentials. 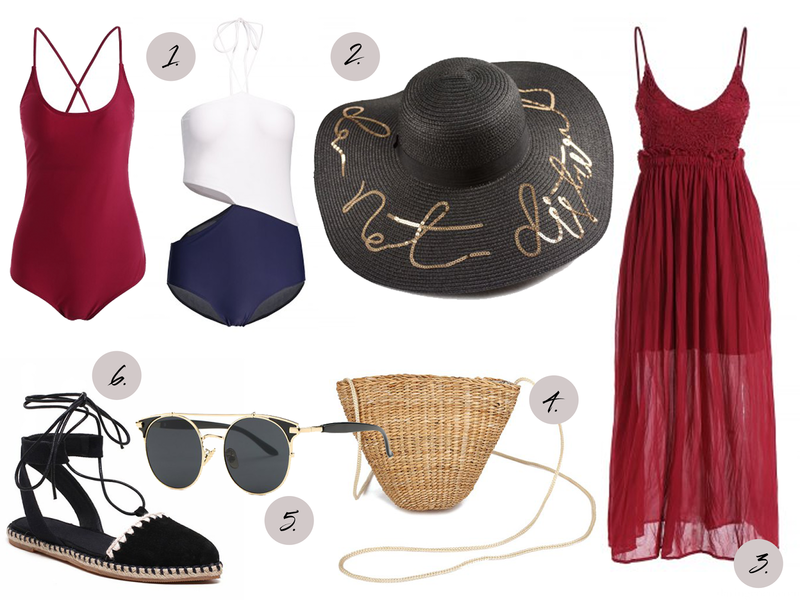 Pieces such as swimwear for starters and I for one am drawn towards channeling Baywatch vibes in a little red number. Of course there is nothing more essential than a maxi dress or a strappy black dress; effortless and the ultimate chameleon. Perfect for sightseeing down cobblestone lanes, ice cream moments by the ocean or late night frolics in the balmy open air.